Today’s recipe is adapted from one in one of my newer cookbooks: The Baking Collection from The Australian Women’s Weekly. 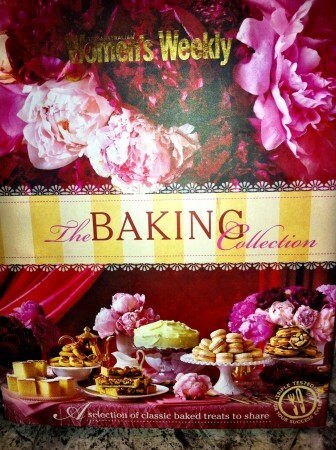 Like so many Women’s Weekly cookbooks this one is a winner – sweet treats of every description from simple cakes and cookies to decadent pastries and fancy holiday delights. An excellent collection of old fashioned Aussie favourites with some modern interpretations. These squares are soft and moist – more like mini cakes than a slice. The honey works so beautifully with the cashews. To top it all off they are SO easy. Preheat oven to 160C. Line 23cm x 32cm (9” x 13”) swiss roll pan with baking paper. Combine dry ingredients and mix. Add eggs, butter and honey and mix well. Press firmly into pan. Bake for 20-25 minutes or until skewer inserted into the centre comes out clean. Cool slice in pan. Meanwhile, make honey icing. Mix sugar, butter and honey well. Add enough water to make runny enough to pour. Spread over the slice, and top with remaining cashews. 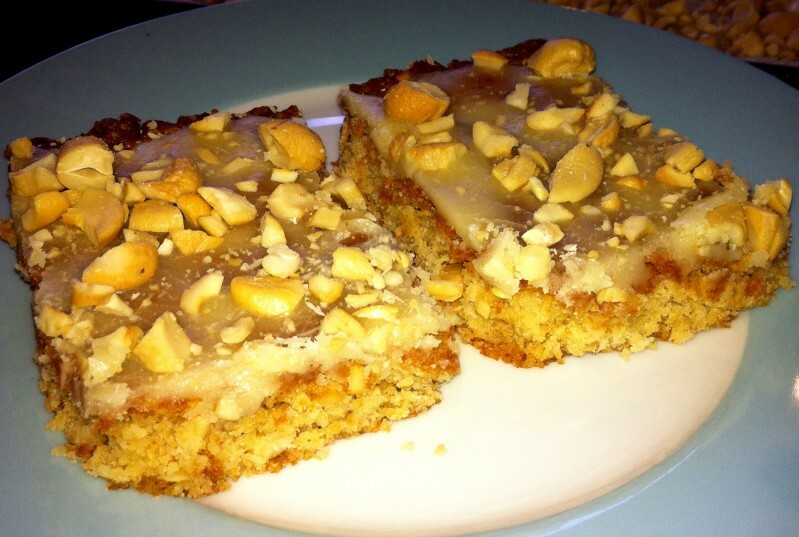 Adapted from Honey Walnut and Oat Squares, in The Baking Collection / The Australian Womens’ Weekly, 2013. Oh, the bars looks delicious!